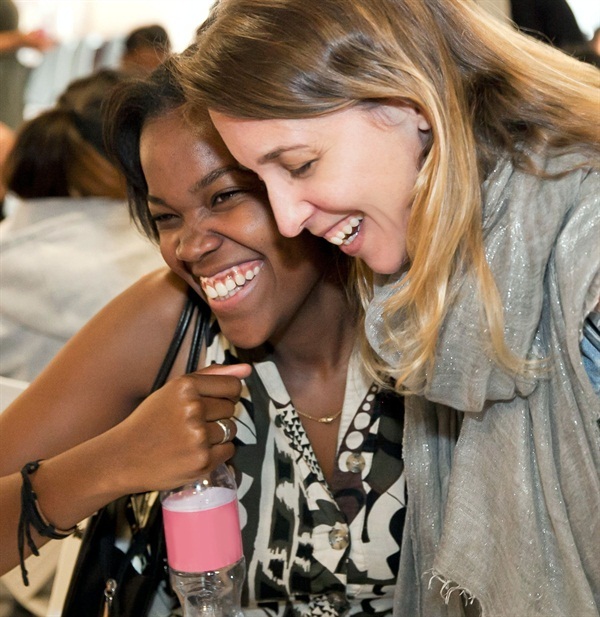 At the invitation of SpaRitual founder Shel Pink, girls from the non-profit organization Step Up visited the Orly/SpaRitual campus last month. Step Up Women’s Network is a nationally recognized organization dedicated to inspiring women and girls to fulfill their potential. Orly/SpaRitual team members from every facet of the company provided advice for the high school girls from under-resourced communities. Earlier this year SpaRitual released a nail lacquer called Step Up — a bold red-orange — and pledged to donate 20% of its profits to the organization to further support the girls.